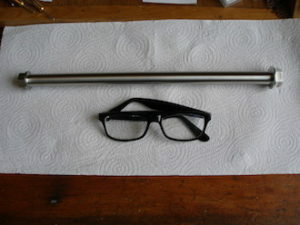 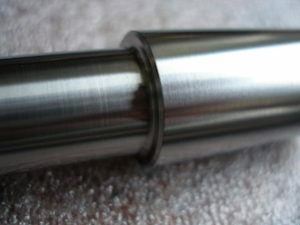 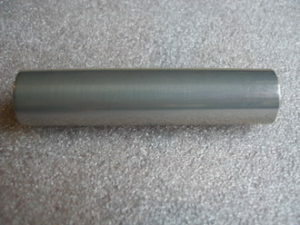 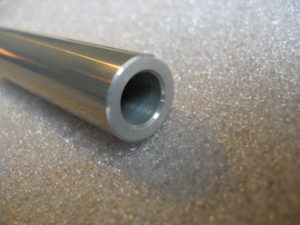 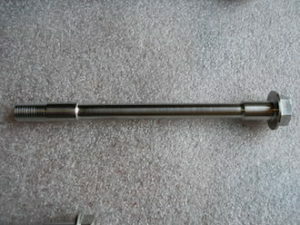 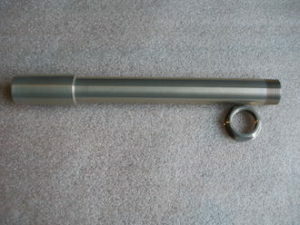 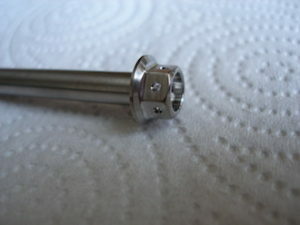 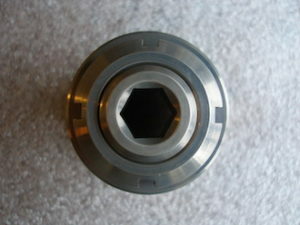 Here’s a titanium rear wheel spindle I’ve made for a Ducati 900ss bevel, THE most fantastic bike ever created. 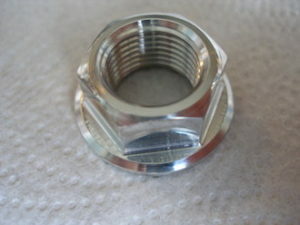 I had one many years ago, without question the best bike i’ve ever owned or likely to, quirky, annoying, fragile, capable of independent thought that doesn’t comply with your own etc. 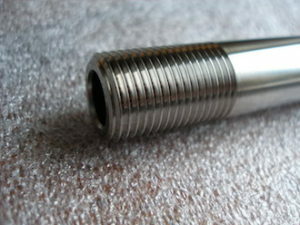 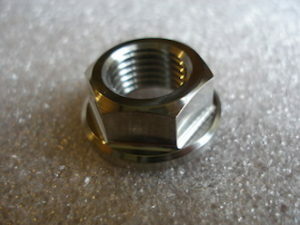 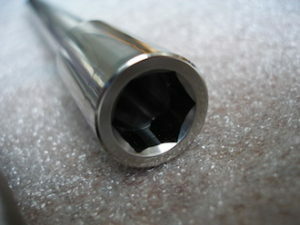 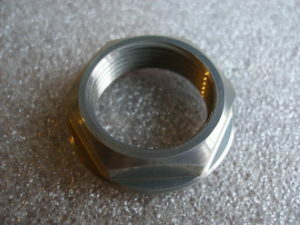 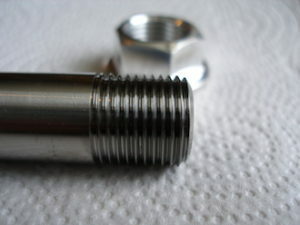 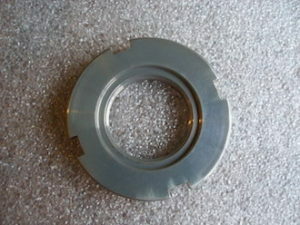 This is a little titanium casing plug, bungs up an oil or water gallery or something. 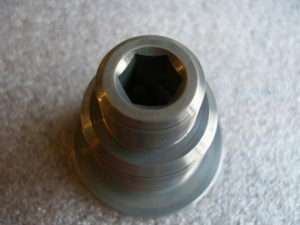 This one was slightly nicer to make as the socket cap in the end could be good and deep, some of them will only take a socket to 3mm or so deep, they just beg to have the socket rounded off when you come to take them out. 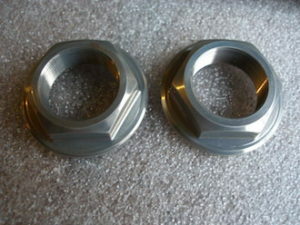 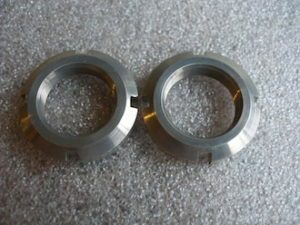 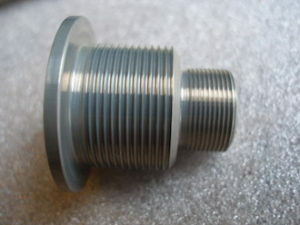 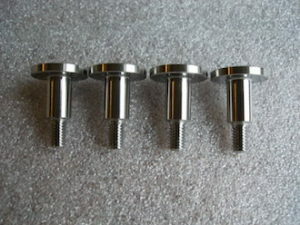 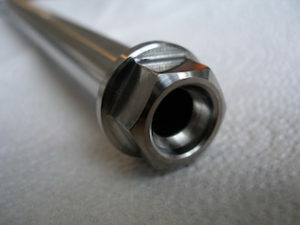 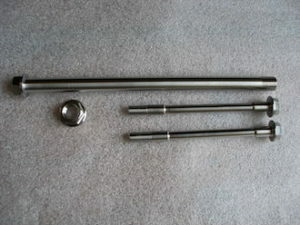 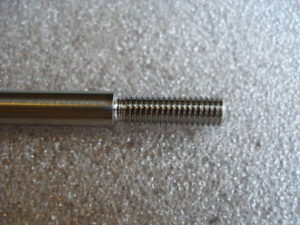 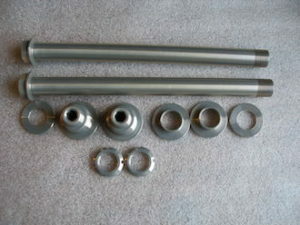 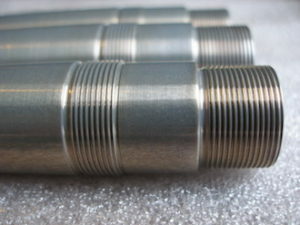 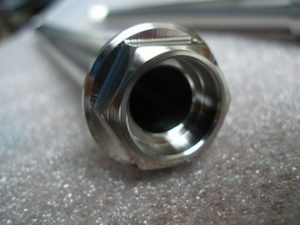 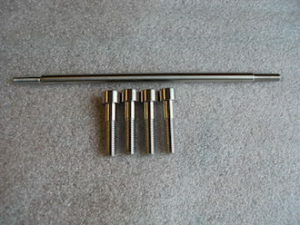 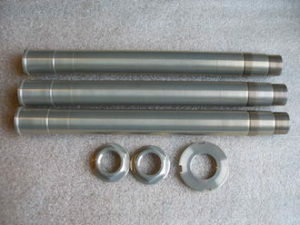 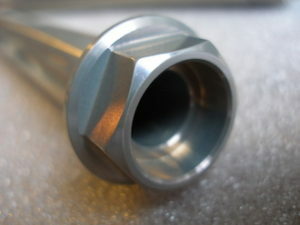 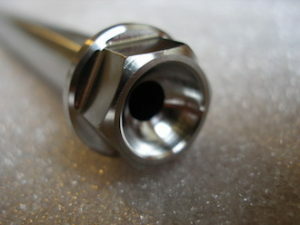 These are titanium panel bolts for a Honda, they are tapped M5 down the shank. 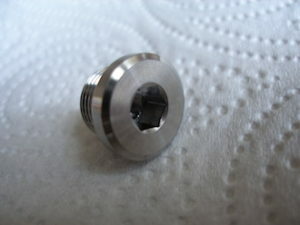 Tapping titanium is always fun, you just never know when its going to snap the tap! 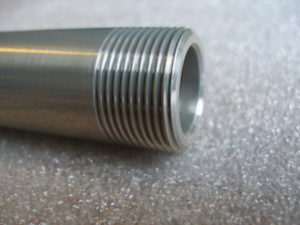 The smaller the thread the more buttock clenching it is, because its such tough stuff smaller taps often don’t have enough strength in them to cope, which is why you have to use best quality taps that are really sharp. 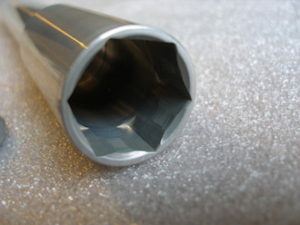 The main danger areas are running too far down a blind hole (but any metal will snap a tap if you hit the bottom of the hole too hard), and coming out. 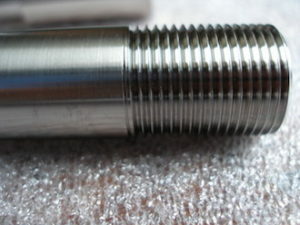 It generates a fantastic amount of heat when you tap it so it tries to grab the tap on its way out, i often leave it to cool before withdrawing the tap. 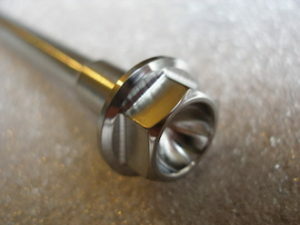 I’ve done quite a few titanium and 7075 alloy spindles for Aprilia RS250’s recently, they’ve always been popular but there’s been a bit of a rush on! 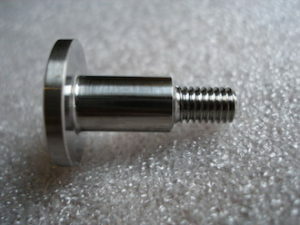 They are probably popular because the front spindle is huge for a 250, i’ve made smaller ones for 1000cc bikes! 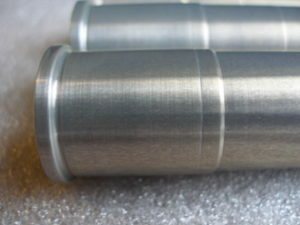 These are coated with Surtek 650 as normal, it gives it a sort of milky appearance but protects it against corrosion. 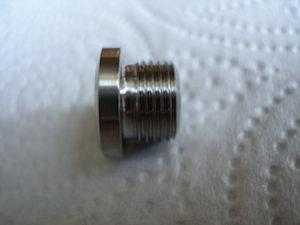 Surtek can be polished off so the bits that stick out and want to be shiny can be polished leaving the unseen bits protected. 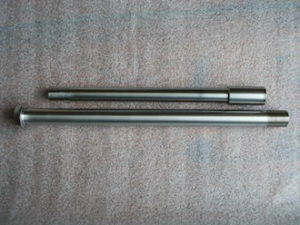 I’ve done a fair amount of parts for Aprilia’s recently, here’s a set of titanium subframe bolts and a quickshifter link rod. 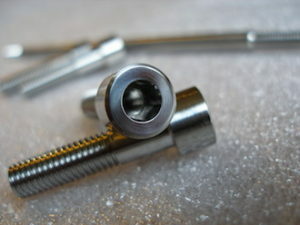 The subframe bolts are tricky as they have an M5 tapping down them, never much fun. 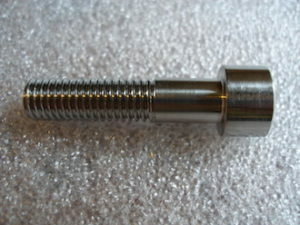 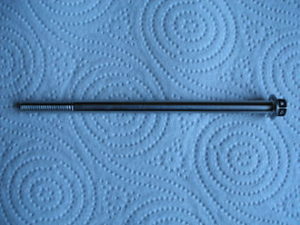 The tie rod has left hand thread at one end, some folk charge extra for left hand threads, to me there’s no difference, you just throw a lever the other way and start at the wrong end! 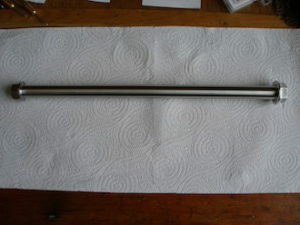 This is another titanium swinging arm spindle i’ve made for a Montessa, along with its nut and a brace of engine mounting bolts. 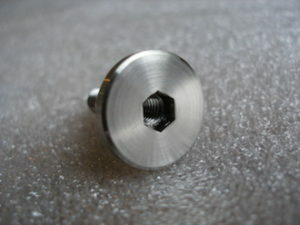 I’ve waisted the bolts to get more weight out of them, the original has a plain shank.